Thank you for your design ideas and getting the sweatshirts done so quickly! Everyone loves them! E-mails were always responded to immediately - Thanks! I always felt like you wanted everything to be perfect for us! Gordon worked with us to come up with the perfect solutions for our needs. They go over and above. The process was easy, the product was quality, the service was timely. Isn't that the elements of success? Rainier Designs is certainly 'top notch' when it comes to custom logo'd items for our business! 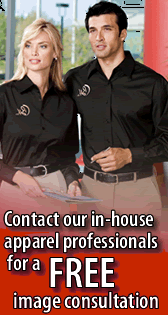 Outstanding personal service, fast shipping, great catalog selection and a commitment to customer satisfaction. It was so much easier working through you than who we went though last year. Thanks so much! We are so happy we discovered Rainier Designs. We have used other companies in the past, but have not experienced the level of customer service they provided. The prices were competitive, the quality was excellent and all the employees were friendly and professional. We look forward to using Rainier Designs again in the near future.